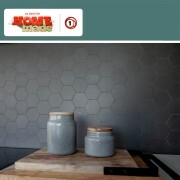 Catch up on the tiles and products supplied by The Tile Depot to the 2018 season of HOMEmade by TVNZ. 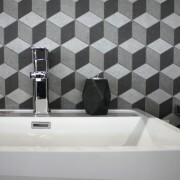 A fun case study into the history of the 3D cube pattern in tile trends. 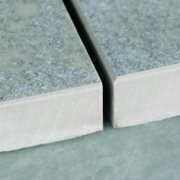 PEI is a testing method for glazed ceramics to determine the 'wearability' of the surface of the tile. The test result determines the suitability for purpose for various areas of installation. Summer has arrived and with it our thoughts of relaxing on the coast. But if you wish you had relaxed coastal living all year round, here’s some tips from The Tile Depot on how to make that a reality with tiles. Summer has arrived and with it our thoughts of relaxing on the coast. But if you wish you had relaxed coastal living all year round, here’s some tips from The Tile Depot on how to make that a reality with tiles. 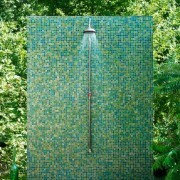 Outdoor Landscaping Trends - Whats hot? There really is no excuse… the sun is shining and the days are longer. Summer is the perfect time to rejig your backyard (or front-yard!) to better suit your lifestyle. Whether you want to upgrade your space to be the new neighbourhood swimming pool drop-in, or downgrade to something more low maintenance, porcelain pavers are the newest and trendiest way to anchor your outdoor setting.There really is no excuse… the sun is shining and the days are longer. Summer is the perfect time to rejig your backyard (or front-yard!) to better suit your lifestyle. Whether you want to upgrade your space to be the new neighbourhood swimming pool drop-in, or downgrade to something more low maintenance, porcelain pavers are the newest and trendiest way to anchor your outdoor setting. 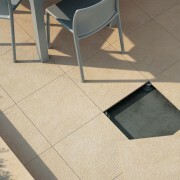 Rectified tile is tile that has been cut to an exact size. With rectified tile there is very little size variation between individual tiles. This means less chance of lippage, more accurate layout and easier installation. Greenery, the 2017 colour of the year is just what you need. Refreshen, revitalise and reconnect with the 2017 Pantone Institutes colour of the year, Greenery. 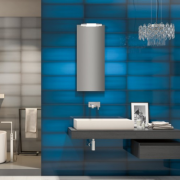 What is Polished Porcelain and What is Nano sealing? 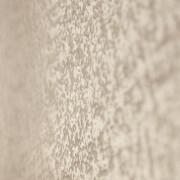 When porcelain is first made, it is not absorbent, but the polishing process for making the unglazed surface shiny cuts into the surface, leaving microscopic pinholes exposed and prone to absorbing stains, in the same way as natural stone tiles. Unless they have a suitable, long-lasting treatment applied by the manufacturer like nano, polished porcelain tiles will need sealing. 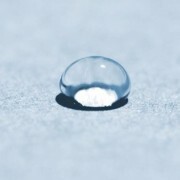 Porcelain sealants are either solvent-based or water-based. Water based sealants are cheaper, but don't last.